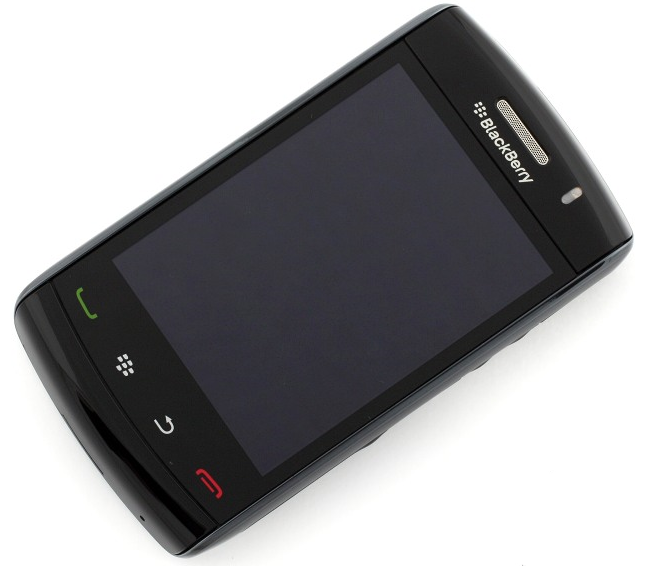 RIM’s Blackberry series of Smartphone were traditionally known as business phones, until they released Storm in late 2008. The Blackberry Storm is the first touch enabled Blackberry phone, with large high resolution screen, better connectivity, and new Surepress technology that bring keypad like experience in touch enabled handsets. However, many users complained about the non responsive touch screen of Blackberry storm, which makes numerous errors while typing on it. Since the heart of Blackberry is messaging, the storm failed to impress people in several aspects. Moreover, the original storm lacks Wi-Fi connectivity. RIM later fixed several issues with Storm and released Blackberry Storm 2. The new device was launched in US on October of 2009. 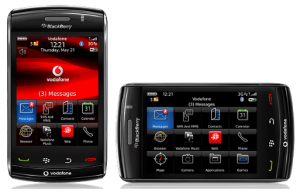 Blackberry storm 2 includes a redesigned Surepress technology, Wi-Fi and Blackberry OS 5.0. There will be two models of Blackberry Storm 2, 9550 and 9520 based on the network connectivity available in different regions. 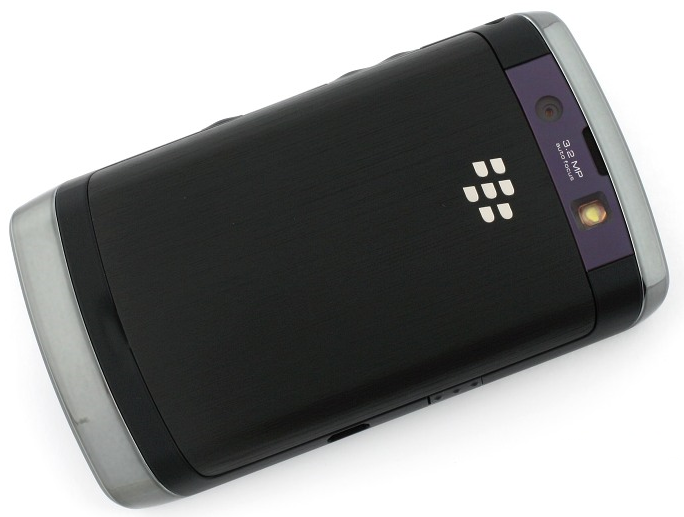 Blackberry Storm 2 9550 is a US specific version with quad-band GSM and dual band CDMA-EVDO (Verizon) support. Whereas the Blackberry Storm 2 9520 is GSM only version available worldwide. The same Blackberry Storm 2 9520 is now available in India and Europe. Though there was an innovative Surepress technology, tying on the original Blackberry storm was a difficult task. Especially for users upgraded from Bold and other Blackberry smartphones. The device used to fill words incorrectly and showed tendency freeze at several points. The accelerometer was also not up to the mark. Missing of WiFi was another mistake they made with Blackberry Storm 9500. The Blackberry Storm 2 has the same a 3.5 inch TFT capacitive touch screen of 360 x 480 resolution and 65K color support. It includes a 3.15 Mp camera with LED flash and autofocus. The changes in new Storm 2 include Blackberry OS 5.0, improved Surepress, Wi-Fi and integrated 2GB memory, expandable to 16GB via slot. However, these features still not match with our expectations from a flagship product. Blackberry storm 2 is outdated, and it will not be able to compete with the latest smartphones. RIM should have released this phone few years ago. Nevertheless, if you are a Blackberry fan, the device might impress you in web browsing and multimedia facilities. The new Surepress is also impressive in response and speed. For those who don’t know, SurePress is a technology that gives keypad like typing experience in Blackberry storm phones. The device highlights menus and keys when we move over, and select them only when pressed firmly. That is unlike traditional touch screens that select every single action of touch, the Blackberry Storm and Storm 2 only pick those keys /menus as intended by the user. So the user gets a keypad like feedback from the phone interface. RIM has fixed several issues with SurePress in new version of Blackberry Storm 2. The external design of new Blackberry Storm 2 is very similar to original Storm. We can spot changes in the navigation keys, speaker position and battery cover. The keys are positioned in the screen itself. Speakers are now moved to the bottom side of the phone. As a more business centered device, Blackberry storm2 includes several inbuilt applications for messaging, office productivity and connecting with enterprise level communications. The web browser is much faster than other Blackberry phones and original Storm. However, the browser doesn’t have good resolution and numerous features found in leading smartphones. Blackberry storm 2 is now available with Verizon wireless in US for a full retail price of $539.99. Users can also opt for 1 or 2 year contract plans at $169.99 and 99.99$ respectively. Blackberry Storm 2 9520 is now available in India through Blackberry retail partners. This time we are not sure about any carrier specific Blackberry plans. Users would need to contact customer care of their service provider for more details. The estimated price of the device is 32000 INR including taxes and other charges. Still the competition betwen 2 touch phones gets hotter… IPHONE 3GS vs BB Storm 2 9550..Which is better? I love BB Storm2…when will it be in India? How much Cost? & Where will i get this BB? what is the big difference between BB Storm & BB Storm2 SurePress touchscreen ? i love bb smart phones…storm is anytime better than iphone..
Storm is the better phone compared to Apple’s i-phone. It looks better, have good built quality and user-friendly features. I am currently using storm 9530 and I am satisfied with My phone. I will definitely buy storm2, when it will be available in India. Definitely get the Storm 2 as Storm has a list of bugs to start with. So if you get Storm, you will also have to start installing the firmware updates. All those bugs have been fixed in Storm 2 and Storm 2 as a whole is much better then Storm and is a true i-phone killer. Blackberry Storm 2 is not that impressive in features with its current market price. They should have released this phone few years back. 1 month used bb storm 2 for sale..
with all accessories and 4gb mem card. pls contact number_7eng@yahoo.com for more details. I am currently using storm 9530 and I am satisfied with My phone. I will definitely buy storm2, when it will be available in India. I still dont understand the difference between both 9550 and 9520, does it work in Egypt?